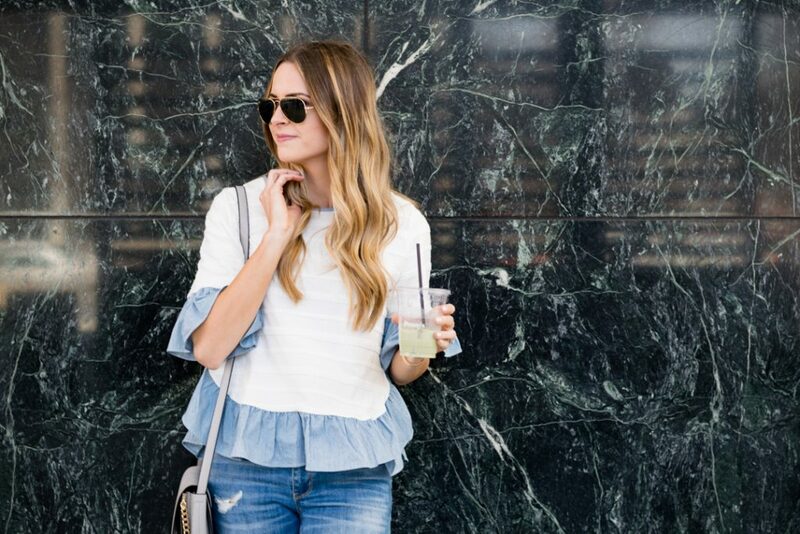 I can’t seem to get enough ruffle and peplum tops this year, and it’s fine! 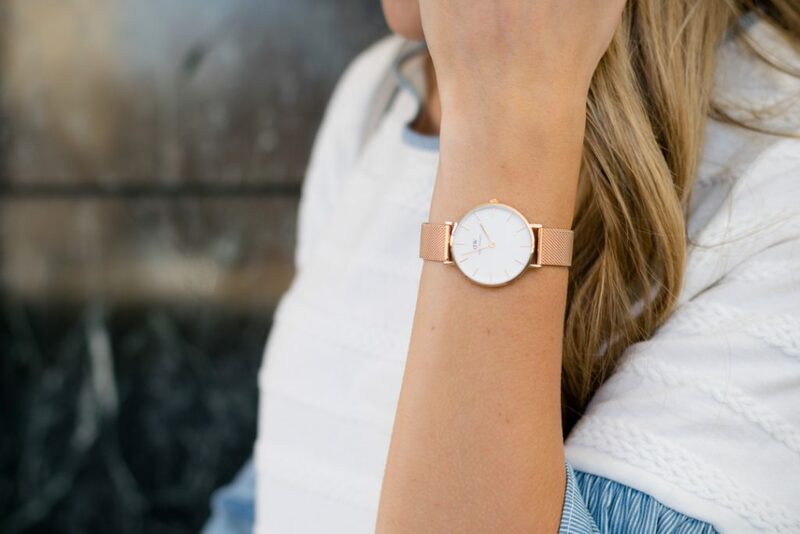 They are darling, and so much fun to wear. 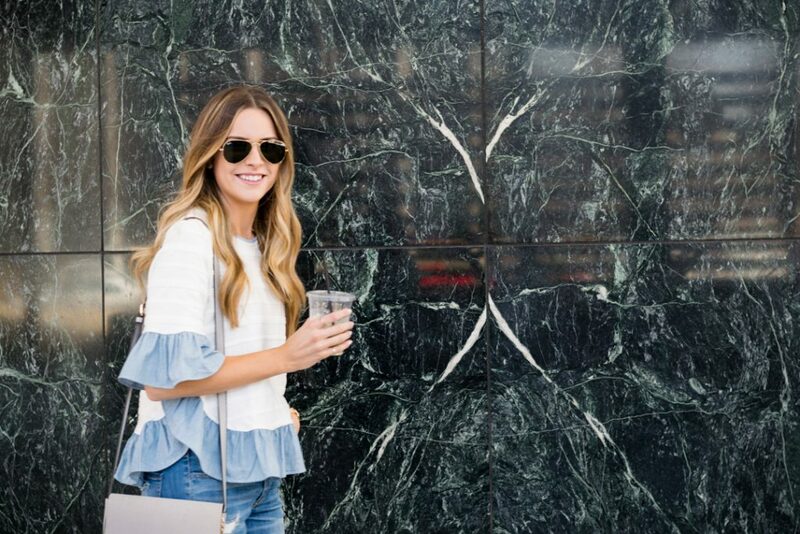 Don’t get me wrong – sometimes the ruffles can be a bit too frilly and girly… so I’m giving you guys the low-down on how to wear the ruffle trend (without looking like Shirley Temple)! My favorite way to style ruffles is roughing them up a bit with the rest of my outfit and/or accessories. 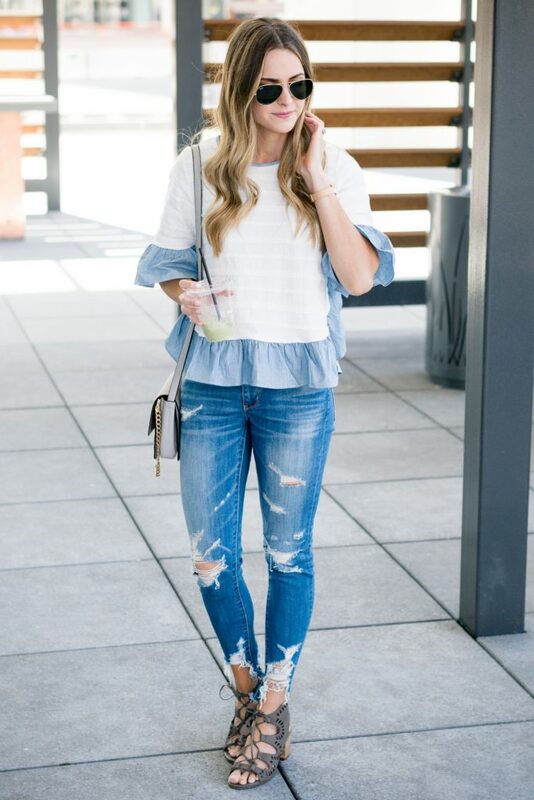 The easiest way to do this is to wear a pair of distressed jeans or shorts – the edgy look of the ripped denim helps balance out the feminine ruffles. You guys are probably getting real sick of me wearing this pair, but they are literally my go-to for the weekend! And I get so many compliments on them. Can you blame me? 😉 Lucky for you, they come at a really affordable price! 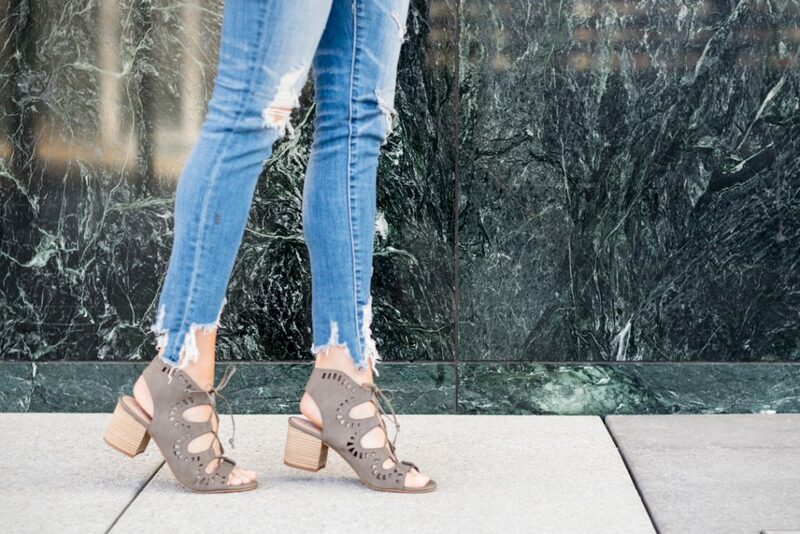 Not into distressed denim? Try wearing some edgier accessories instead. I love these block heeled lace-up sandals (under $50!! ); the laser-cut detail adds more interest, and the darker color gives a little more pow to your outfit. Speaking of which, wearing darker colors in general with the ruffles (or wearing dark colored ruffles) will help balance your look out as well. On an unrelated note, that iced matcha latte from Penny’s Coffee in Minneapolis was fantastic. Looking it makes me crave one so bad! Yum. I think I’m going to try making matcha lattes at home… anyone have any luck with that?? Would love recommendations if you have any! Girl I love those jeans! Express’ denim is amazing – I need to get a few more pairs! You are the cutest in all of your ruffles. I love the colors of this one so much! I love this outfit so much! I am so happy that ruffles are so in right now. It’s so girly I just love it! I can’t get enough peplums and ruffles in my closet! 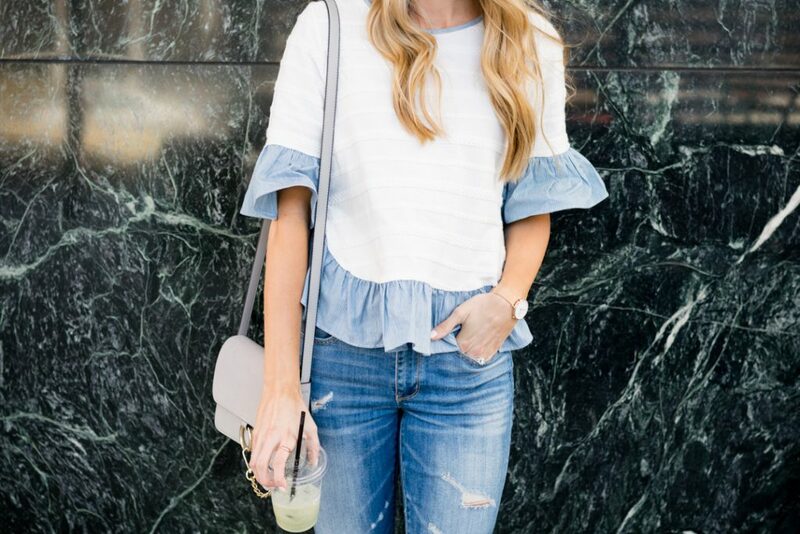 I’m so in love with that ruffled top!! I absolutely LOVE the ruffle trend, and I think you rocked it so fabulously here!